Day after day they count on you, and sip after sip you can count on us. Enjoy the rich, buttery flavor of sweet candied pecans in our Butter Pecan coffee. Now available year-round! 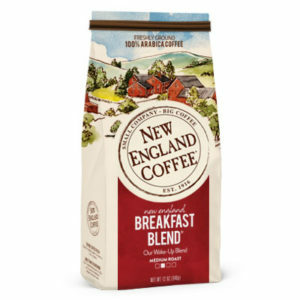 We’ve roasted our premium coffee the same time-tested way for the last 100 years right here in New England. Bringing to life the history and tradition of quality that goes into every cup of our coffee. 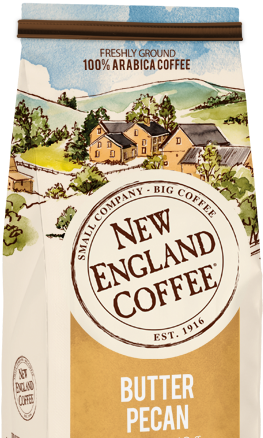 Meet the people behind the scenes at New England Coffee and hear the story of how a family and its team have been working together since 1916 to roast, deliver and serve great coffee beans around the United States. News and information for our foodservice customers. Never run out of coffee and save 20%. 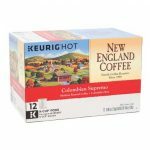 News and ideas from the world of coffee.